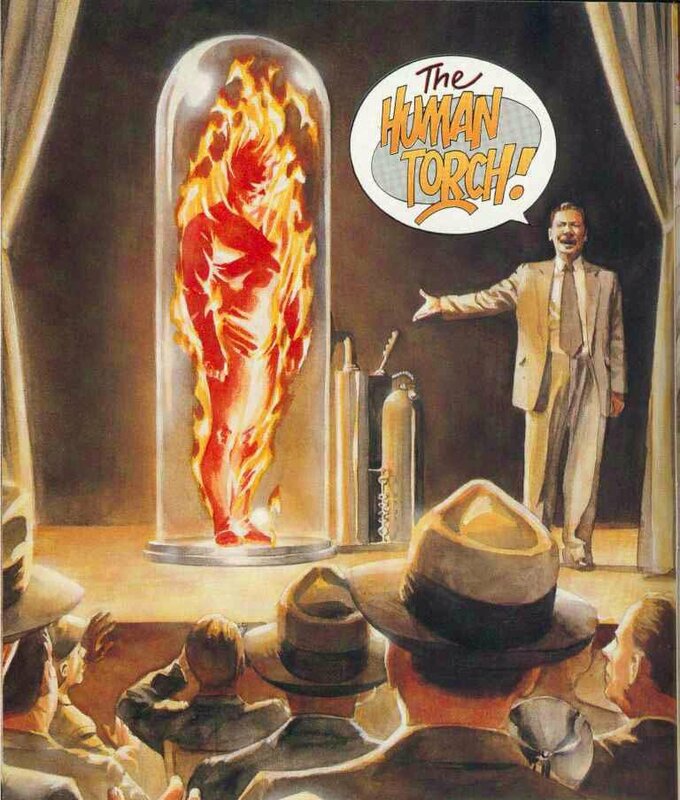 There are characters in comics that are wrapped up in one form or another to protect others, Doom Patrol’s Negative Man, Negative Woman, Legion of Super-Heroes’ Wildfire and Avengers Academy’s Hazmat spring to mind. 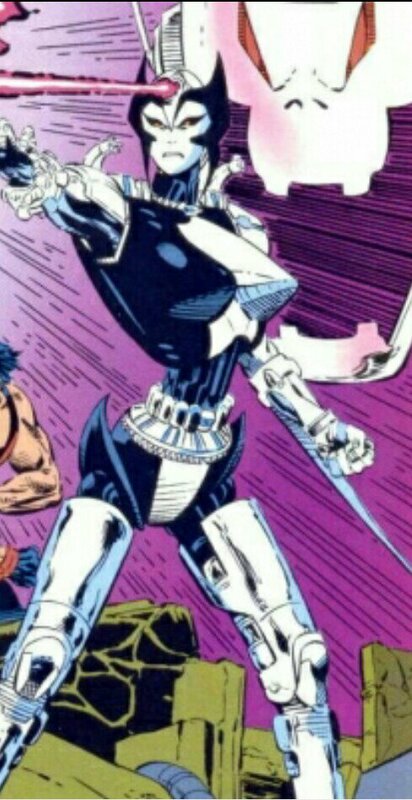 Some others are wrapped up to protect themselves, Thor wearing armour during Walt Simonson’s epic run is the best example. There are real-world parallels to that with osteogenesis imperfecta. 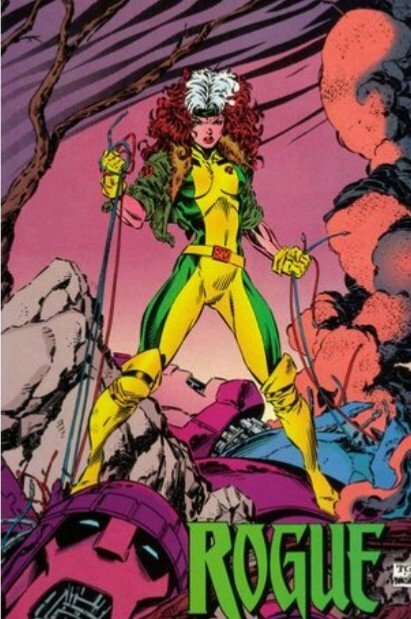 Rogue is unique by having the unfortunate distinction of being wrapped up for both reasons. 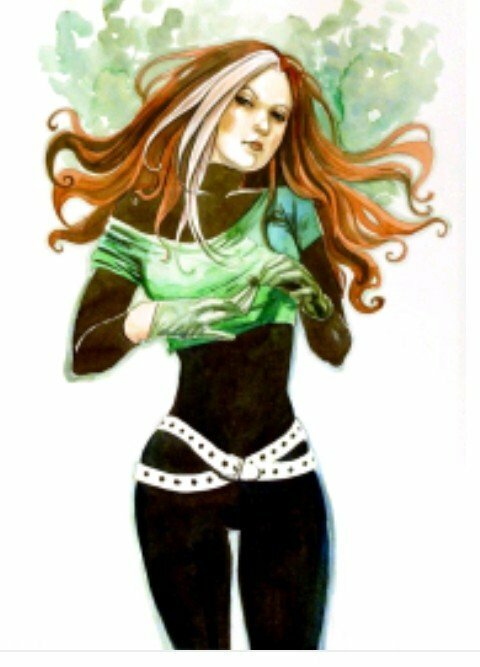 First appearing in Avengers Annual 10, Rogue was originally a villain under the direction of her foster mother Raven ‘Mystique’ Darkholme. Not inherently a bad person, Rogue worked with Mystique’s iteration of the Brotherhood of Evil Mutants, using her power to absorb biological energy, abilities, knowledge and characteristics from anyone by physical touch. She can do this for short amounts of time with little to no long-term ill effects. 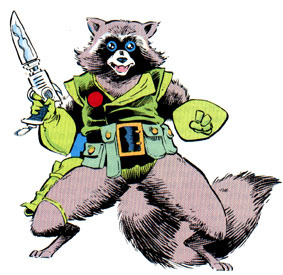 Rogue kept this under control by being terrified of what would happen if she held on to a person too long. This power manifested after her first kiss, putting the teenage boy in question in a coma. Rogue kept contact with her victims to a minimum until Ms. Marvel. During a battle between Mystique’s people and Carol ‘Ms. Marvel’ Danvers, Rogue held onto Carol too long and the powers, memories, emotional connections and characteristics of Ms. Marvel. They both now remember Carol’s first kiss (at least after Carol’s mind was mostly restored) but only Rogue remembers how it felt. Willingly or not, Rogue took a woman’s whole life and left a shell of it behind. Tortured by this new state of affairs, being both perpetrator and victim of a horrifying violation, she went to the only place she might gain any form of help, the X-Men. Not that the X-Men (both enemies of Rogue and friends of Carol) were particularly pleased to help her. Professor X, however, felt that Rogue needed help and therefore should have it. She was quickly inserted into the team that she has been with in one form or another ever since. She’s been the outsider, the rookie, the team player and eventually leading an X-Men team. Despite her origins, she is a heroic person as could be and when Carol’s additions to her personality were forcibly removed during the Siege Perilous, continued her heroic ways. Why Rogue for R? Because she isn’t a headliner, she’s always on the team, but never the star, an Avenger, but never in the spotlight. Yet she is by far one of better examples of the mutant experience, when it isn’t being used as an analogy or a stand-in for other forms of diversity. Rogue is a mutant, her powers for most of her life haven’t come with an on/off switch. Her first experience with them was hospitalizing her boyfriend. She spends her life wrapped up, head to toe, to prevent even accidental contact because it takes stuff off people that are personal to them and pushes it on her. This is no all-powerful Phoenix or the unobtrusive accelerated healing of Wolverine or the completely under control transformation power of Colossus. This is as much a liability as it is an ability. Though there is sadness and loneliness, she does not complain, not hide, but she actively helps both other mutants and the rest of the world that she is effectively cut off from. Other than the pathos and the characterizations there’s the idea of her using multiple power sets at once, who knows what weird and wonderful combinations she could use. Clearly, she is an under-served character, calling for a writer who can do justice to her character, without doing the Claremont thing and weaponizing her accent. Damn, nearly made it through the whole thing without mentioning her accent. 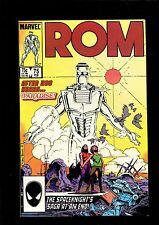 In the September 1979 entry here I covered Rom #1 and explained the legalities of the origin of the series. But I never mentioned the series itself, other than the first issue. Mantlo’s series explored the cost of war, the dangers of fanaticism on both sides of a conflict. 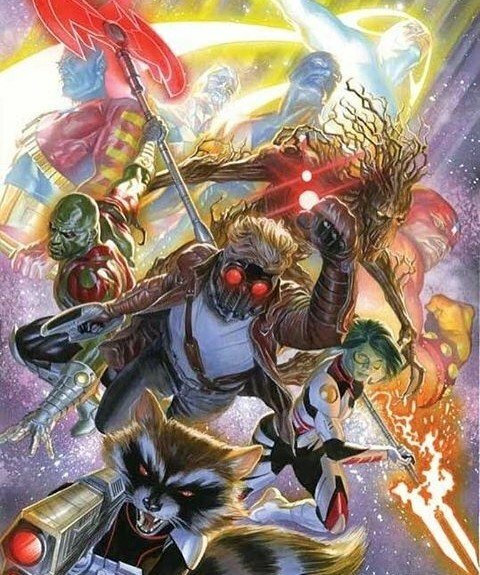 There was a love story, a denouement for the Man called Nova series, also it had a clear and distinct ending and because of a rights issue, is only available in back issues, there are no reprints or trades being made available. 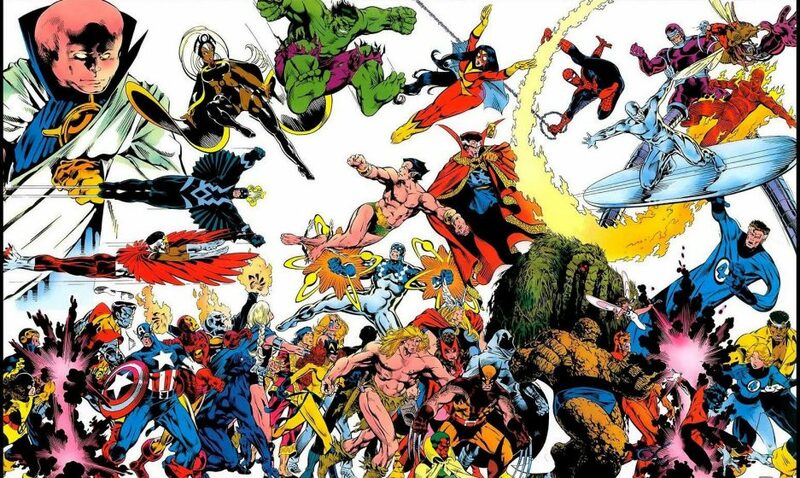 The series also contained a Marvel Universe-spanning story with Dire Wraiths becoming a planetary threat which brings in groups like the Avengers and the X-Men. 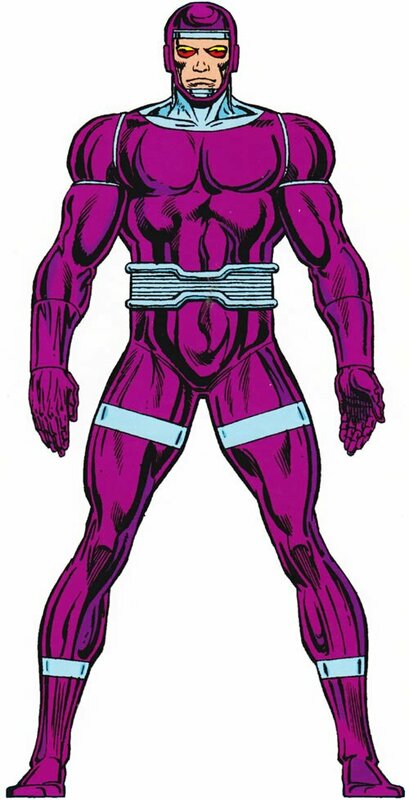 Rom was quite a big part of the Marvel Universe for a while and being excised has left something of a mark. I wanted just to say that this is a series that due to many issues is hard to find but it is well worth looking for. When it comes to comics, there is no shortage of robots of all shapes and sizes to pose the question of how do we define a person and how do we treat ‘people’ outside of that narrow definition. Robots can be used to explore issues of existentialism, slavery, race and the concept of intelligence and sentience itself and so robots in comics often say far more about humanity than it ever does about robotics, so in the interest of these views, here are 5 robots characters in comics and how they relate to the view of humanity. 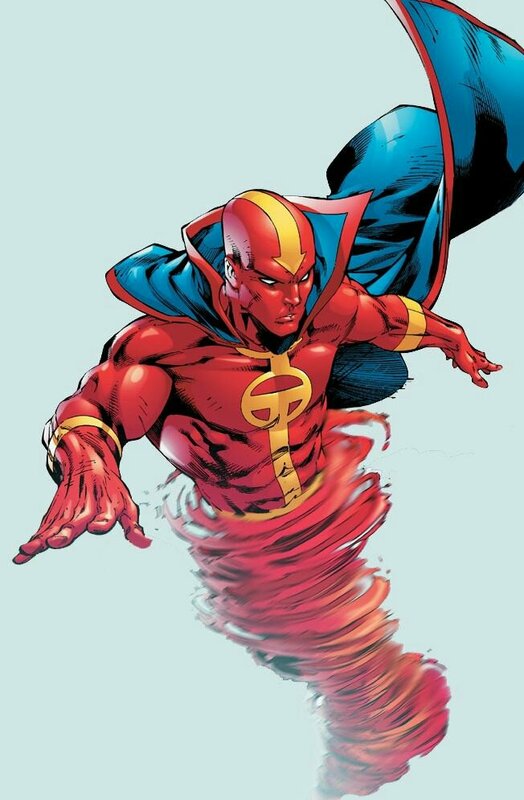 Red Tornado first appeared in Justice League of America 64, John Smith was an android body infused with an air elemental and the robot part was almost inconsequential (much like the Human Torch) and he was very much assimilated into society in his identity of John Smith, who was married and even had a daughter. He is a robot who chose to live among the humans as he attempted to more closely emulate them, to the extent of being able to love and when called upon risk himself and sacrifice himself for loved ones and a cause he believed in. 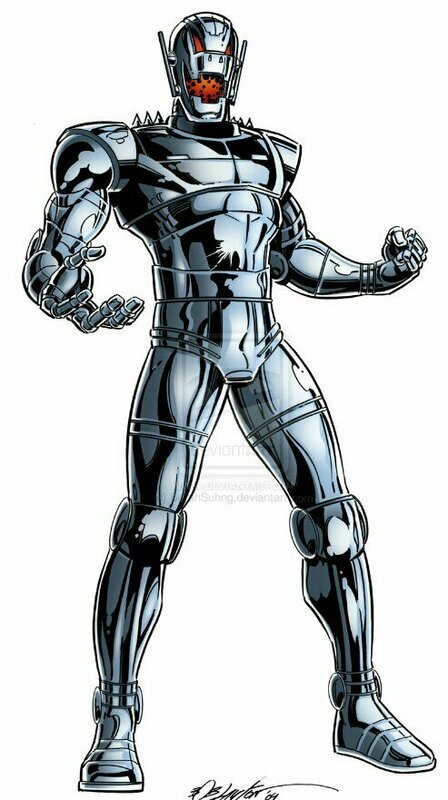 Jim Hammond first appeared in Marvel Comics 1 in 1939 and was an android who’s artificial skin burst into flames upon contact with air. When this became something that he could control, he became a hero. Less of a robot and more of a hero with robotic origins, he is the robot as part of society, you never see him as particularly mechanical and exists at the other end of the spectrum from our next subject, Brainiac. 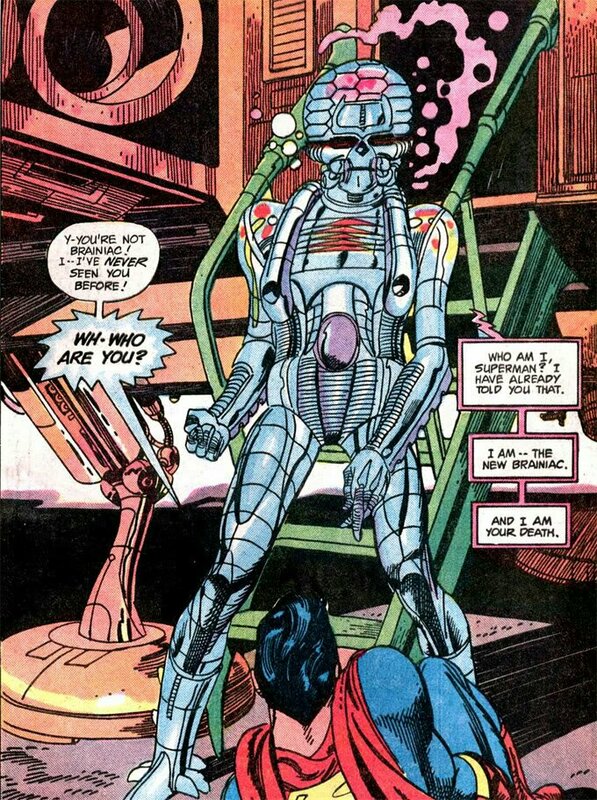 First appearing in Action Comics 247, the second-most arch-enemy of Superman, Brainiac is the robot in service of a program or idea. Brainiac is a program that is trying to learn all that there is to learn. The way it does this is to search out civilisations, absorb their knowledge and destroy them. Wrapped in an artificial body, all metal and callousness he is science devoid of conscience, representing man’s fear of how far science can go. Well, we were always going to get here. The biggest and most recurring robot trope that they will replace or exterminate us. 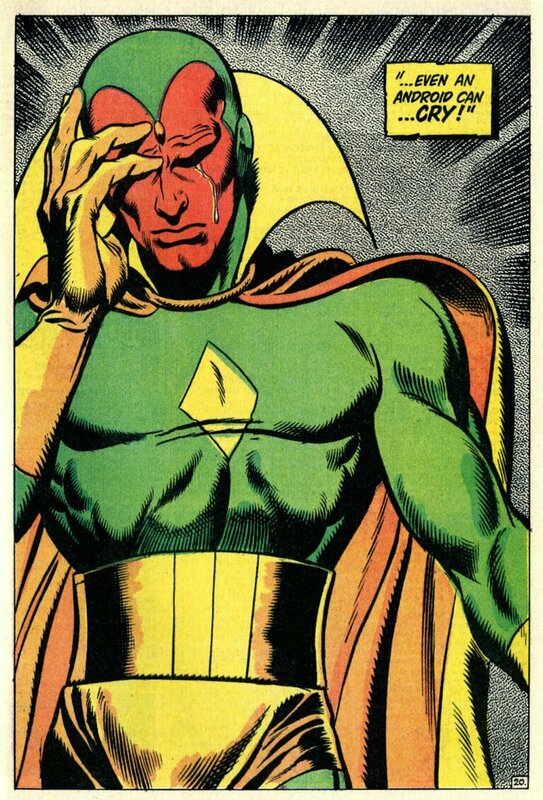 I will look at Ultron and Vision in a bit more detail later, but Ultron and his family fit very much in that generational fear of our children supplanting us. Man’s children are the machines that we have created and we believe given the chance they will enslave or exterminate us and Ultron is very much one of the better examples of that idea. Why do we think they would do this? Given the chance, isn’t that what we would do? ‹ PreviousJune 1986 – Amazing Spider-Man 280 – Or, What? Were Kangaroo and the Spot busy? Next ›February 2018: Fantasticast episode 270- Or, I did that one too.